Neuro Pain Consultants Providers Marlene Hamama, N.P. If there’s anything Marlene Hamama, RN, BSN, MSN, NP, enjoys more than caring for and interacting with patients, it’s being part of a team of highly motivated medical professionals. Marlene is a certified adult nurse practitioner at Neuro Pain Consultants with four convenient locations in the metropolitan Detroit region: Bloomfield Hills, Clarkston, Macomb Township, and West Bloomfield, Michigan. She earned her bachelor’s degree in nursing from Oakland University in Rochester Hills, Michigan. Marlene continued on to Madonna University in Livonia, Michigan, where she earned her master’s degree in nursing with advanced training for the full scope of nurse practitioner. 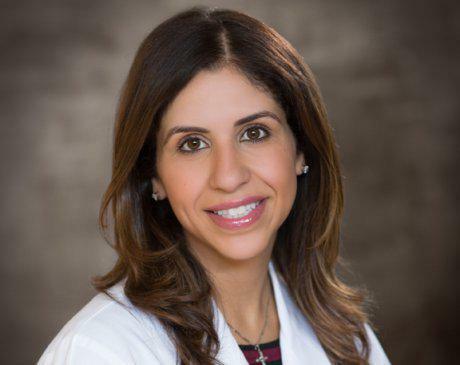 She groomed specialized skills in pain management while serving as a pre-operative/recovery nurse in diverse clinical settings, such as surgical intensive care and trauma units. Previously, Marlene worked for the American Surgical Centers and William Beaumont Hospital. She brings her passion for patient care and her commitment to helping patients maintain their health to her work as a member of the Neuro Pain Consultants medical staff.